Sharma is also unhappy about the absence of log-in sessions in WhatsApp's new feature. 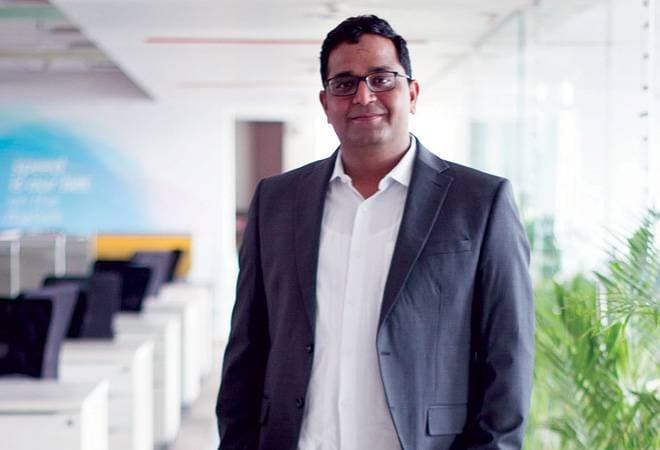 Paytm founder Vijay Shekhar Sharma whose company saw a swift turn in fortune after PM Modi's demonetisation announcement is crying foul over WhatsApp's new UPI feature. Sharma said he will approach National Payments Corporation of India (NPCI) that developed the UPI system and even higher authorities if needed to address the 'unfair leverage' granted to WhatsApp. Sharma is also unhappy about the absence of log-in sessions in WhatsApp's new feature. Sharma told The Economic Times that Facebook, WhatsApp's parent, is openly colonising our payment system and is customising UPI to their benefit and arm-twisting it for customer implementation. He further added that a lack of login makes WhatsApp Payments an "open ATM" to everyone and is a security risk, pointing out that WhatsApp is used by 'gullible' Indian users, far more than any other app. WhatsApp with a monthly user base of 250 million in the country is going to roll out the feature to its massive customer base, which will disrupt India's digital payment space. Sharma questioned how WhatsApp is allowed to start off the feature with such a huge user base, when it should have started with 5,000 to 10,000 users. Sharma clarified that he is not against international companies but simply is asking for a level-playing field. "India is an open internet economy that welcomes every company that plays fair," he said. Before WhatsApp, Google launched its payments service Tez last year. According to reports, Bipin Singh, CEO of MobiKwik retaliating to Sharma's 'unfair advantage' comment said that there is a clear record of the companies that got access first and exclusively when UPI was launched. Kunal Shah, former chief executive of Freecharge said that now all companies against WhatsApp will tag it as anti-national and try to pull it down as it is hard to demerit the messaging app. A UPI-based person-to-person payment feature for both Android and iOS was recently spotted by WhatsApp beta testers in India. The official launch of the feature is likely to boost digital payments in India, considering WhatsApp's popularity, but will also intensify competition for digital wallets. Introducing a person-to-person payment feature for all of them gives the messaging application an advantage from the get-go over other digital transaction applications. To put things in context, Paytm has 180 million users in the country, whereas Google Tez, another UPI-based payment application, crossed 12 million users in India last year four months after its launch. The transactions in WhatsApp Payments will be made through bank accounts linked to Unified Payments Interface (UPI), allowing users transact between accounts of different banks. This works in the favour of the messaging application as transaction between different digital wallets is still not an option. However, there is no word on utility payments coming to WhatsApp Payments anytime soon, which could give the e-wallets an edge over it. Users actively using the feature will be another factor that has to be considered after the launch of WhatsApp Payments. Apart from this, the Facebook-owned messaging application is also reportedly working on a group video calling feature. The latest option has been seen on WhatsApp's beta version 2.18.39, reported WABetaInfo. But, there's no option to switch from video to audio call. You can add up only three people at a time. WhatsApp is also planning to launch a sticker packs on its app, as seen in the Facebook messenger application.